Making a great first impression is important, promote your branding with Fold Top Boxes. Our Fold top boxes can be used as lunch containers, to go containers, take out containers and many more uses. Our Fold Top Box food containers have a high-gloss finish and are printed in Hi-Definition, full-color to give the best impression available on a unique disposable container. This type of fold pak food container is great for side dishes, pasta, rice and more! 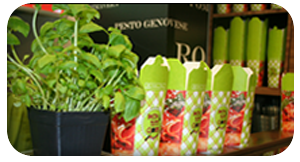 Our Custom Printed Fold Top Boxes are the future of single service food service products! What is the minimum order requirement for Fold Top Boxes? Fold Top Boxes are available in 4 different styles. The minimum order required for custom printed Fold Top Boxes is 1,000 pieces per style. What is the lead time for custom printed Fold Top Boxes? Standard lead time for all custom printed Fold Top Boxes is 2-3 weeks, however, rush orders are available for an additional fee. What are your Fold Top Boxes printing capabilities? 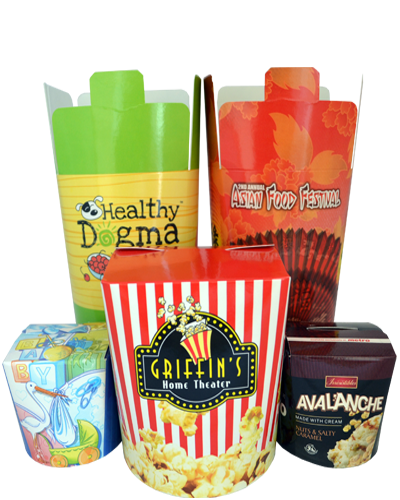 Fold Top Boxes can be printed with full color processing and full ink coverage capabilities. Fold down panels can also be printed. Need a price quote on Custom Printed Fold Top Boxes? Contact us today! Looking for more full color printed food service products? Check out our line of custom printed Placemats. Take advantage of this powerful form of food service marketing without breaking the bank!